Dolphin Snorkel Adventure Tour in Hawaii was amazing we had an epic day of swimming with wild dolphins, manta rays and even our first good humpback whale show of the season. Mahalo Nui Loa Ocean! A beautiful night of mantas under a full moon! Manta Rays are back and we had a beautiful sunset and lots of hungry Mantas feeding and putting on a great show for us. Jason Keefer giving the Manta briefing at Ho'ona bay, Kona. 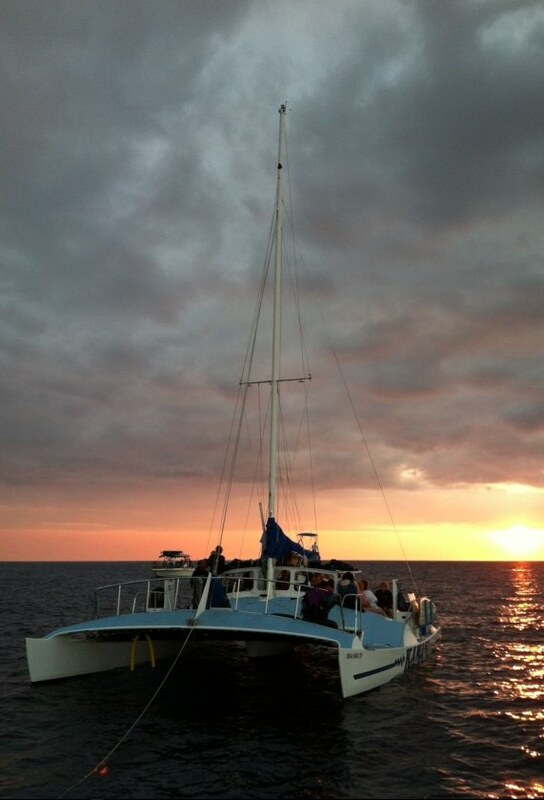 A beautiful sunset for the group of guest awaiting the Kona manta ray night dive. A hui hou! A group of diver look at Dolphins off the Kona Coast on their way to the Manta Ray night dive. A spectacular night with manta rays everywhere and dolphins swimming through the campfire circle. 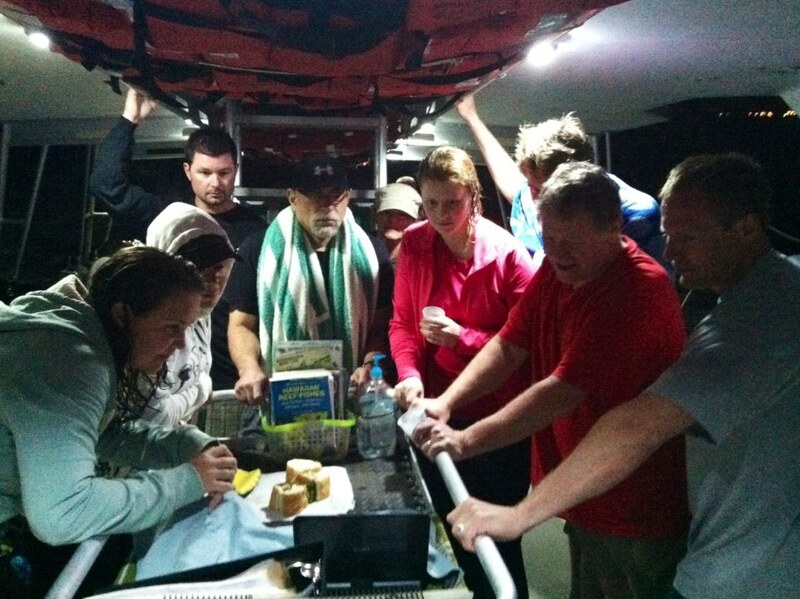 There were 20 boats at the manta dive site and gusty conditions. What a LiquidHI! Happy divers watching video after a truly amazing night!